Kal Lavelle is an Irish born singer songwriter, now living in London. The Sunday Mirror listed her as a 'One to Watch' and her friend Ed Sheeran brought her on tour in both the UK & Ireland. Her album went top 5 in five countries in the iTunes singer-songwriter chart and number 2 in the UK chart! Paul Prem Nadama is a heartwarming singer, songwriter and guitarist. His relaxed acoustic soul and contemporary folk tunes carry a new-age, conscious message that resonates and touches the hearts of many people, on any size stage. 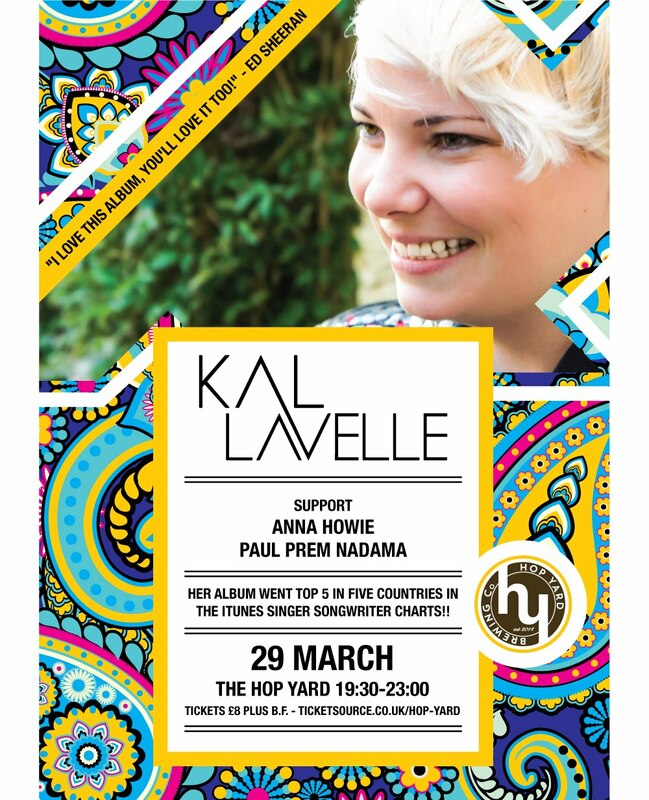 This will be an exceptional showcase of singer songwriter talent headlined by the brilliant Kal Lavelle, for only £8. Get your tickets now!